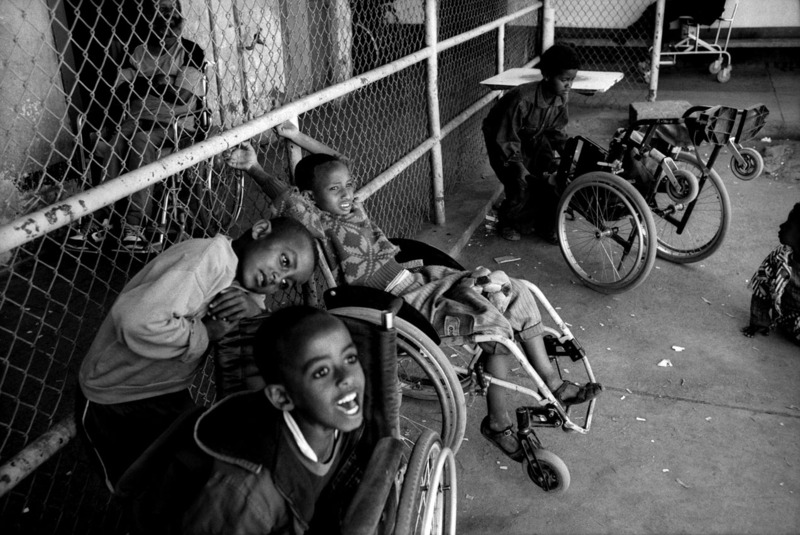 Eritrea, Asmara city.\nHandicaped ex-fighters's children are looking at their fathers playing basketball' s tournament. These people are gathered in a military camp where they get bed, clothes and food by the army. Families can come evry day for visit.